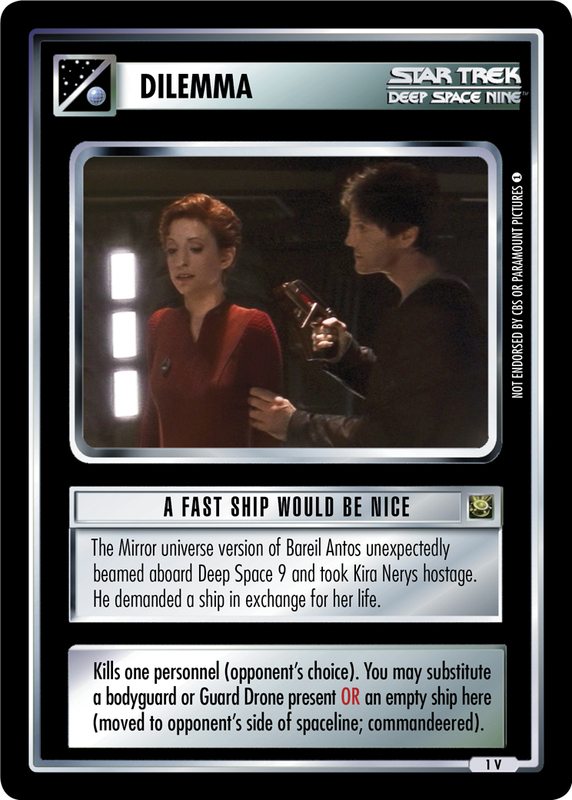 The mirror universe version of Bareil Antos unexpectedly beamed aboard Deep Space 9 and took Kira Nerys hostage. He demanded a ship in exchange for her life. 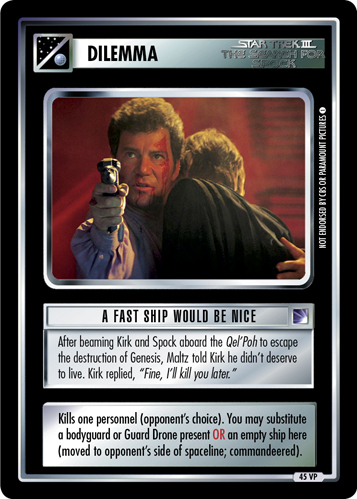 Kills one personnel (opponent's choice). You may substitute a bodyguard or Guard Drone present OR an empty ship here (moved to opponent's side of spaceline; commandeered).